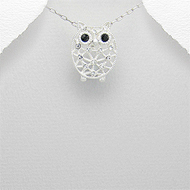 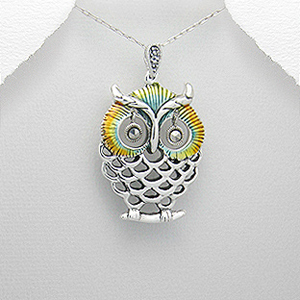 Fashionable Owl Pendant Enamel Coloring Sterling Silver Necklace. 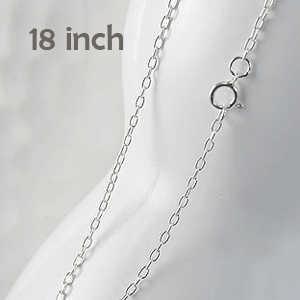 Material : 925 Sterling Silver. 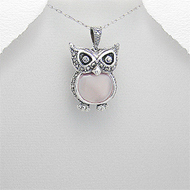 Decorated With : Enamel Coloring, Marcasite. 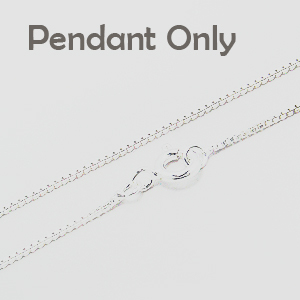 Setting Type : Bond. 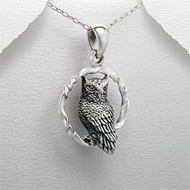 Design : Owl, Bird, Animal. 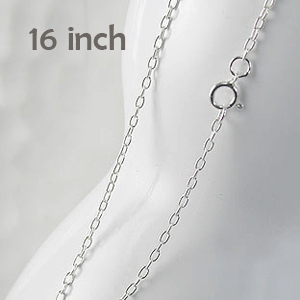 Pendant Size(Including Bail) : 27 x 43 mm (1 x 1.625 inch). 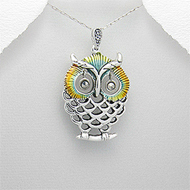 Fashionable Owl Pendant Enamel Coloring Sterling Silver Necklace.